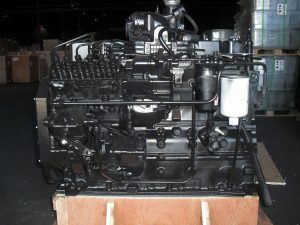 The Cummins 6BT Engine or more commonly known as the Cummins 5.9 Engine is one of the most popular light to medium duty truck engines ever made. The engine was first manufactured in 1988 and was launched with the 1989 Dodge Ram. Chrysler introduced the Ram in 1981 but faced stiff competition from GM and Ford. Their original Chrysler LA and later Magnum engines weren’t cutting it. They needed a heavy duty engine that could compete. After looking at John Deere and Detroit Diesel to partner up with the company finally signed the deal of a lifetime with Cummins. 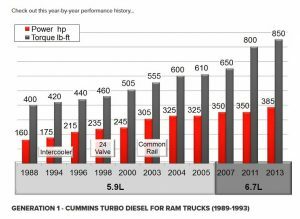 The Dodge Ram ended up being one of the most successful Trucks of all time and was due largely in the performance and reliability of the Cummins 5.9, 6BT. The Cummins 5.9 / Cummins 6BT was the highest producing 6 liter engine all time and still manufactured in 6 different countries today. 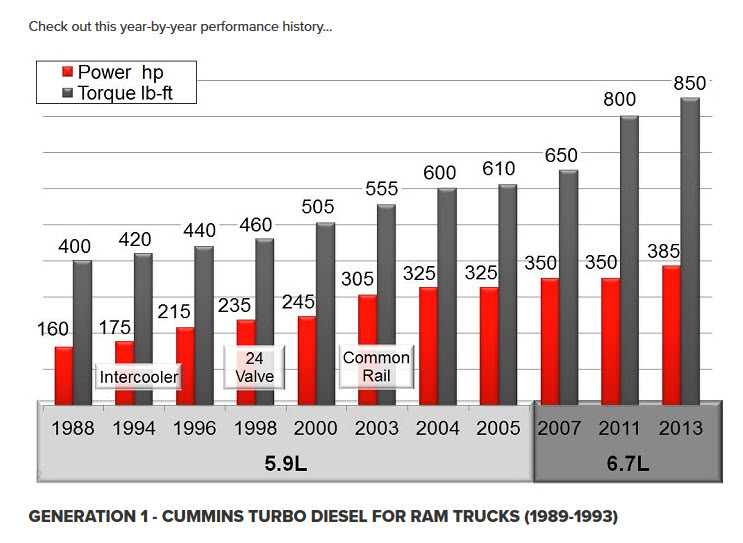 The simple mechanical 12 valve design has made the 6BT / 5.9 the most reliable diesel engine ever produced. The Cummins 6BT Engine (5.9 L) is used both in light duty trucks as well as numerous industrial applications. Popular industrial applications include Step Vans, Delivery Trucks, School Busses, Small Dump Trucks, Generators, Motor Homes, Utility Trucks, Backhoes, Loaders, Dozers, Motor Graders, Forklifts, Man Lifts, Water Pumps, Irrigation Pumps, Drainage Pumps and Marine Applications. 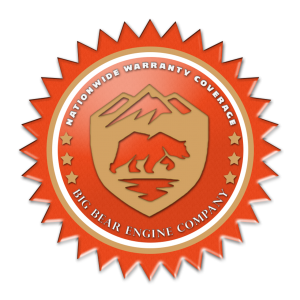 Our 6BT longblock engines are an excellent choice for someone who has an existing Cummins 5.9 / Cummins 6BT engine that is in need of an overhaul but can’t be repaired. Usually, if the engine threw a rod through the block, piston damaged the head, dropped a valve or spun a bearing it is more cost effective to replace the engine. The good news is that the ancillary parts of the engine such as the water pump, oil pump, turbo, injectors, gaskets, flywheel, flywheel housing, starter, fuel lines, oil cooler, aftercooler, oil filter, oil filter adapter, intake and exhaust manifolds, clutch and all of your brackets and pulleys can be easily swapped over to complete your longblock engine. It is more cost effective to use perfectly good parts and replace the internal parts of the engine. The longblocks are completely brand new, not used or remanufactured, and have never been run. They are built with ISO 9001 new parts and are built to exact OEM tolerances and clearances.